The light metering tool for every great image maker. 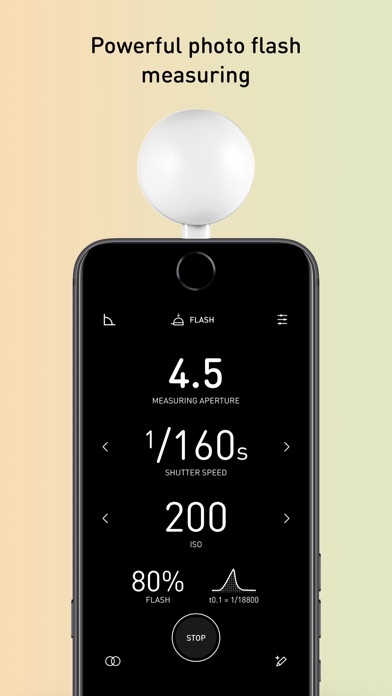 Use the standalone app as a reflective light meter or use it in combination with Lumu Power hardware for professional Flash and Color Temperature measurements. 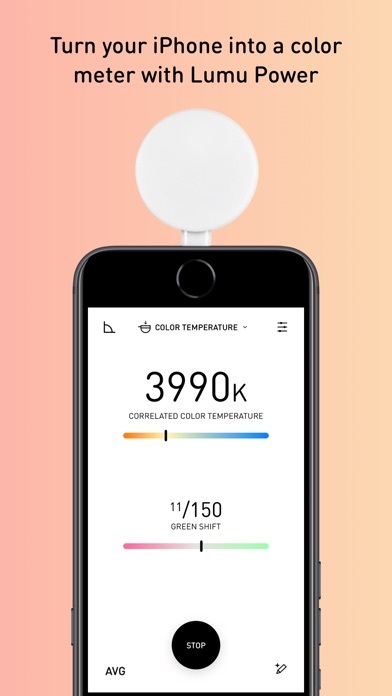 Lumu Power is an easy-to-use digital incident color and light meter that works seamlessly with the free Lumu app to deliver Color Temperature, Illuminance, Spot, Ambient, and Flash Exposure metering functionality on your iPhone. 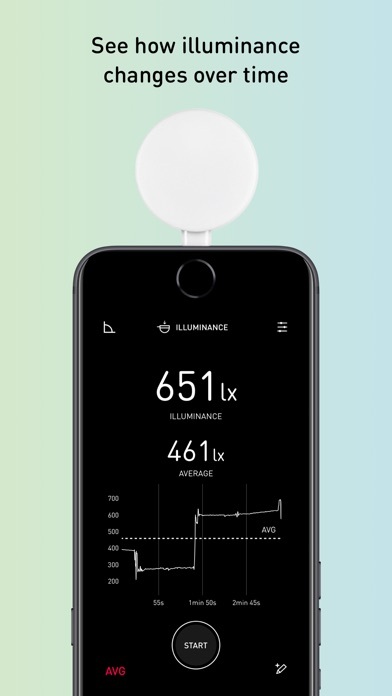 A new expression of what a light meter can be, Lumu meets the needs of enthusiasts, professionals, and students who find existing light metering solutions too bulky, expensive, and complicated. 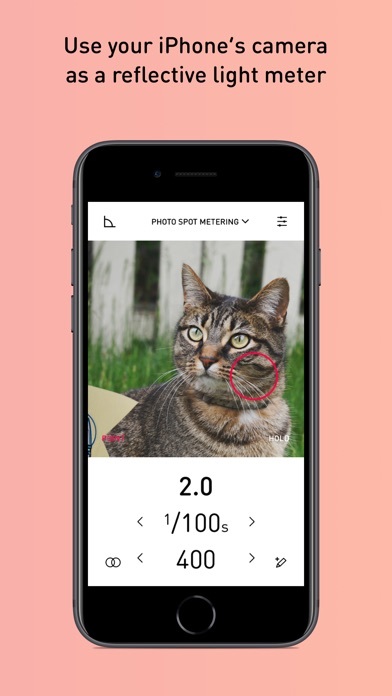 - SPOT METERING: Use your phone’s camera as a reflective light meter. 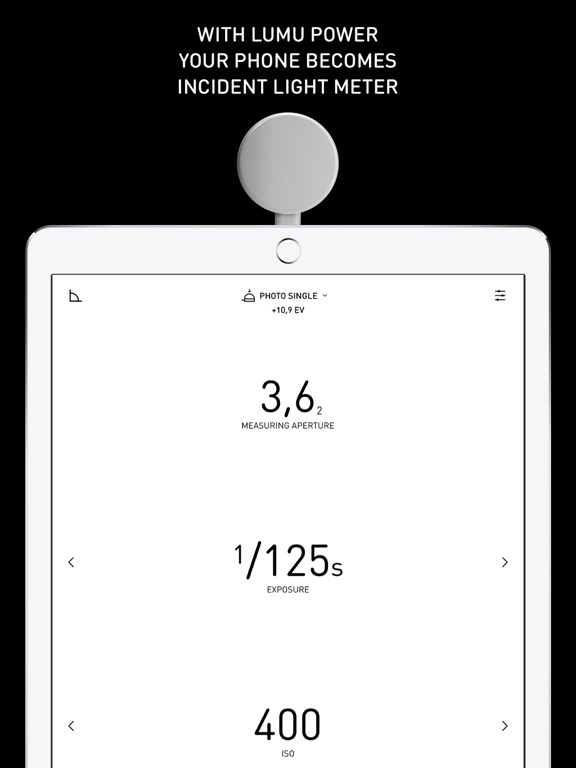 - PHOTO SINGLE mode: Giving you exact parameters: exposure time, f-number, ISO, EV, lux. - PHOTO MULTI mode: Calculating average value or contrast between multiple measurements. - PHOTO PINHOLE mode: Measuring exposure time for custom pinhole camera settings. - CINE/VIDEO mode: Set FPS, F-number, exposure time and ISO. Get the values for the ambiental light. 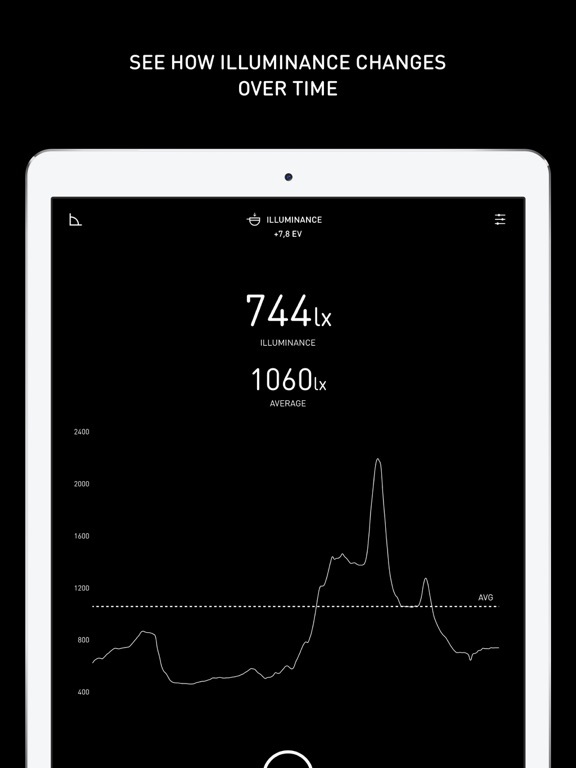 - FLASH EXPOSURE: See the graph of flash duration, measure its intensity. 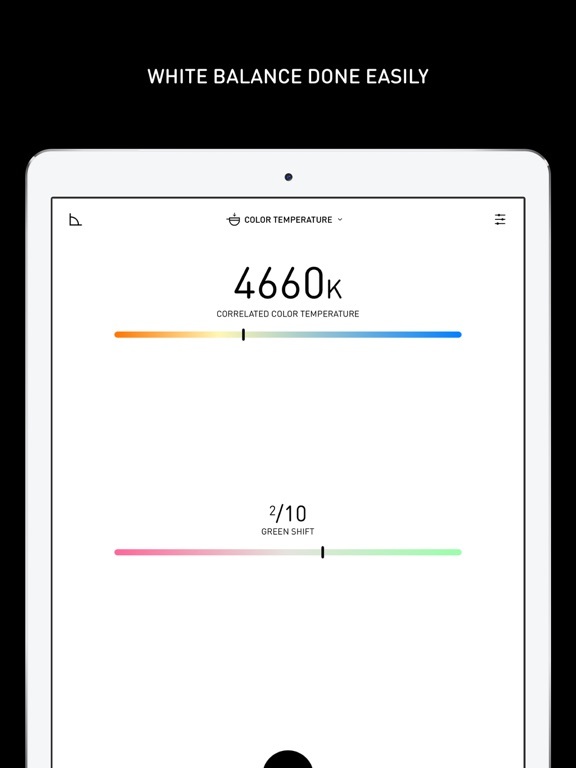 - COLOR TEMPERATURE: Read light Color temperature in Kelvin and Green/Magenta shift. - CHROMATICITY: See light colour in CIE1931 diagram and get X,Y,Z coordinates. - ILLUMINANCE mode: showing incident light level in lux / foot-candle values. - NOTES: Store all your measurements together with geo-location, custom notes and your photo in one place. Visit http://lu.mu/ to learn more. 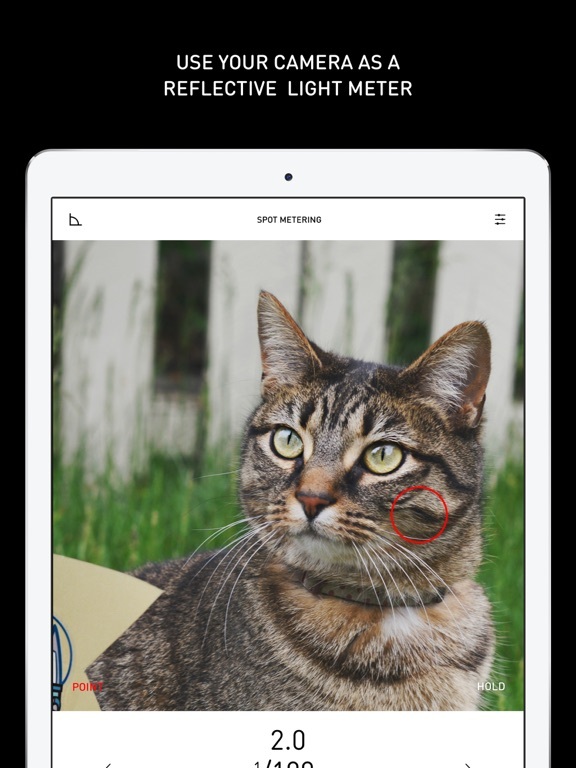 This app is designed to work with a Lumu light meter. Get your Lumu at ww.lu.mu. 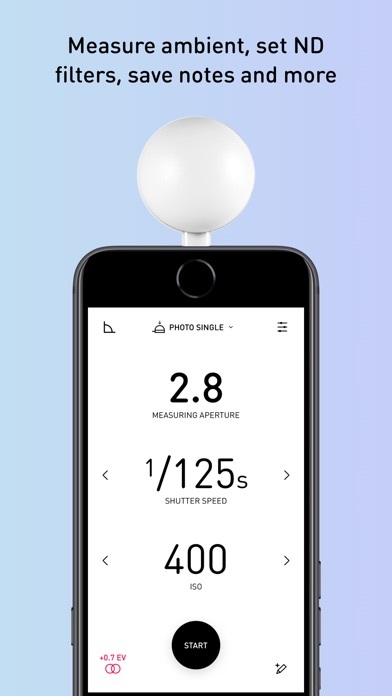 Lumu is a light meter for the iPhone. Changing the way we think about light meters. For photographers with a heartbeat, individuals with a lifestyle, aspirations and dreams. – Photo mode: Giving you parameters: time, f-number, ISO, EV, Lux. – Camera (reflected) mode: use your phone’s camera as a reflective light meter. – Measure mode: showing EV and incident light level: lux/foot-candle value. 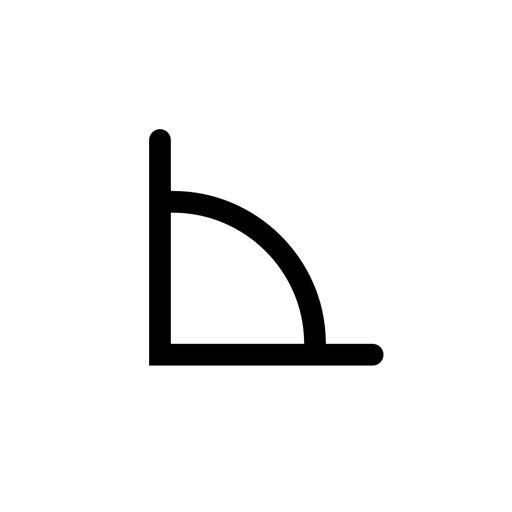 – Notes: Storing measurements with camera info, location, notes, and a photo. – Settings: EV compensation (for calibrating or using ND filters), EV step (1EV or 1/3EV), custom wallpaper.